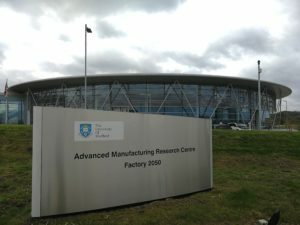 The event was held at Factory 2050, the first building to be completed on the University of Sheffield’s new Advanced Manufacturing Campus, and provided a suitably futuristic background for the discussions. Olivier Ghezi, Atheer's General Manager for International Business, was one of the workshop speakers and helped facilitate roundtable discussions with enterprise customers and other companies in the AR sector. 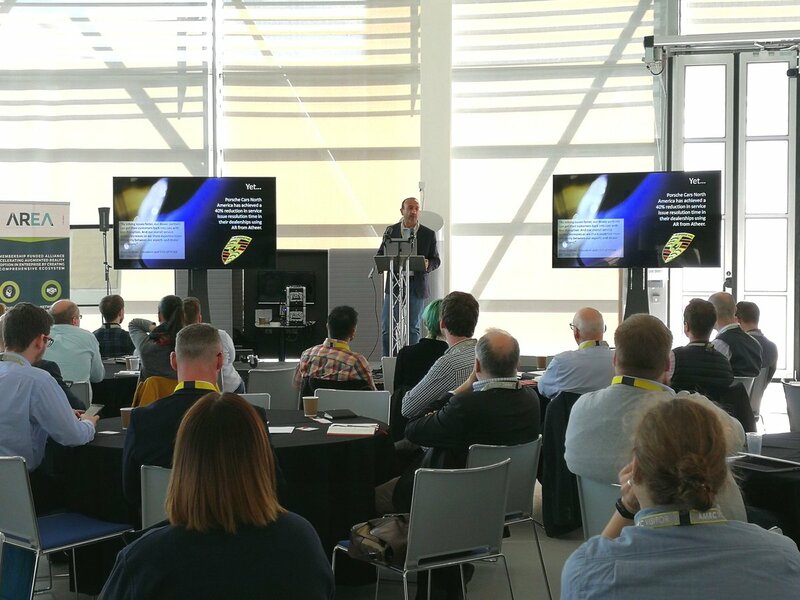 Olivier spoke about Atheer's close work with Porsche Cars North America, providing the foundation for the premium car maker's pioneering and popular Tech Live Look initiative - a topic also covered by Atheer CEO Amar Dhaliwal in his own presentation at AWE Europe last year. Atheer General Manager for International Business, Olivier Ghezi, presenting at the AREA workshop. As AREA reports in its blog, the workshop on March 26th and 27th saw more than 70 participants from a range of industries, including energy/utilities, buildings and infrastructure, aerospace, defense, industrial equipment, mining, automotive and consumer high tech, converge on the shop floor of Factory 2050 for a "jam-packed series of presentations, interactive workshops, demonstrations and networking".